Designed for Tendo Japan, 1961. Part of the collection of the Museum of Modern Art. 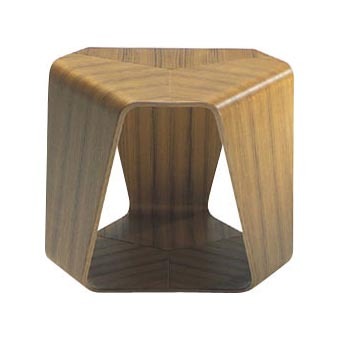 The Murai stool is a fabulous yet hard to find icon of modern design. This wonderful stool has clean modern lines. Yet, for all it's beauty, it is surprisingly hard to find. This stool consists out of 3 parts which are connected to each other with a special process. The process to connect the 3 parts together is only mastered by a few Japanese craftsmen. The quality and finish is unsurpassed. All this beauty and craftsmenship doesn't come cheap, but then again, it was intended to be a quality and exclusive product.